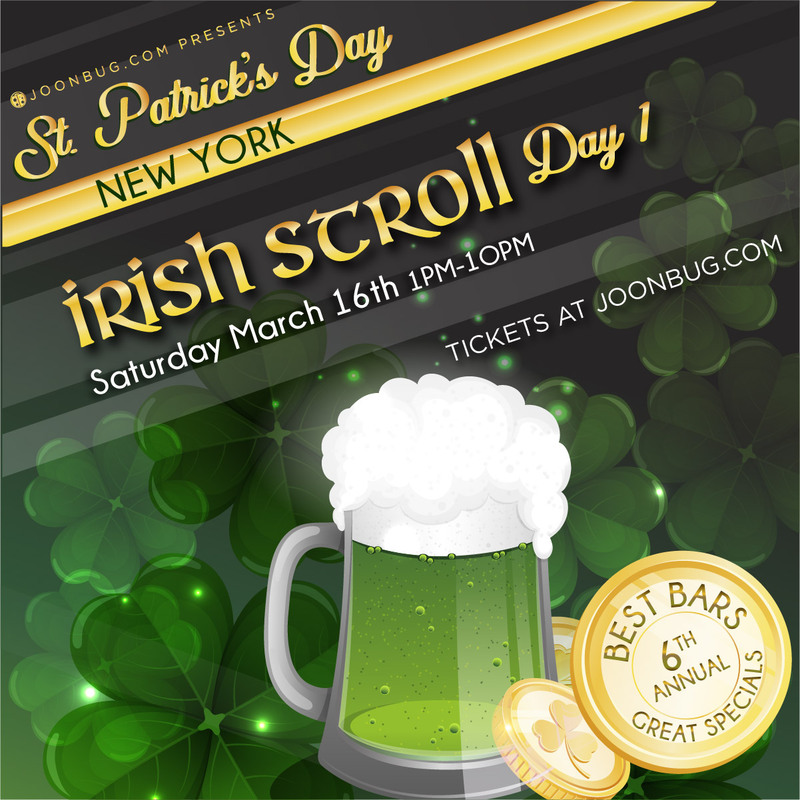 Start your St. Patrick’s Day celebration early this year with day one of NYC’s favorite bar crawl – the Irish Stroll. Find your gold in a ticket to the Saturday March 16th celebration that offers cover-free access to New York’s favorite bars, pubs, and taverns. This full-blarney blowout delivers unbeatable exclusive drink specials so you and your cohort can party into the wee hours. Our Saturday crawl is just one in a weekend jam packed with events that are good craic. Eager to get started? Pick up a Fast Pass for priority entry to this Celtic Crawl. Get ready to hop between your favorite spots on the luckiest day of the year, because Gotham never looked so good in green. From 1pm to 8pm, register at the designated registration site. Grab your wristband and map detailing participating venues and get ready for a luck-filled St. Patrick’s Day! Bringing your whole crew to party? We thought so, that’s why we’re offering a discount for groups over four looking for a wee bit of fun. If you’re planning on partaking in the whole weekend of festivities, pick up a multi-day pass for non-stop celebration. Drink Specials: $5 Luck of the Draw Shot, $5 Liberty Light Beer, $6 House Wines, $8 Moscow Mules.